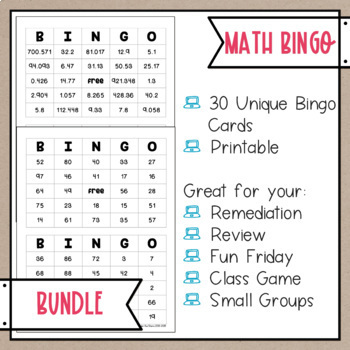 Add Bingo to your math class. 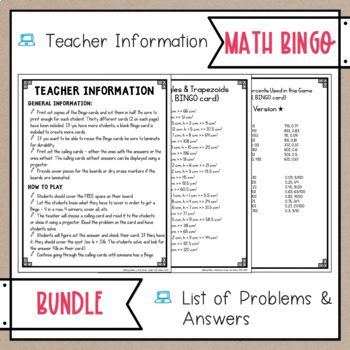 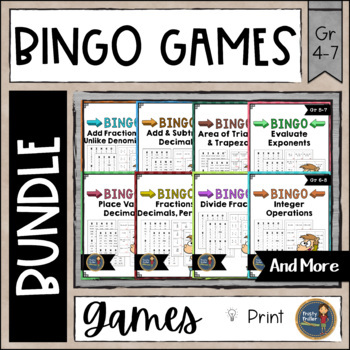 This bundle includes 16 Bingo games for various math skills including fractions, decimals, integers, area, expressions, and equations. 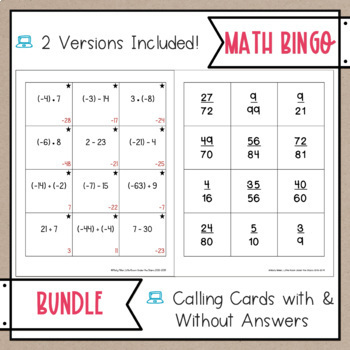 It's great for review or practice of math skills!